If you wake up some mornings and find that you have a headache, your jaw is sore or your teeth are sensitive or loose, you have likely been busy grinding or clenching your teeth all night long. You may have also noticed that your teeth are shorter than they used to be. This is common in 1 out of 10 adults and it is time to consider a night guard. Teeth clenching and grinding doesn’t always happen at night. One of the causes is stress, so some people will unknowingly do so while they are driving or at work. In this case, they may need a grinding guard for preventative measures. What Happens if I Don’t Get a Night Guard? The purpose of night guards is to be preventative so you can avoid chipping or fracturing your teeth. It also stops the erosion of your teeth which can emulate premature aging. If you don’t wear a night guard, you may be putting yourself at risk for more extensive restorative dentistry down the road. 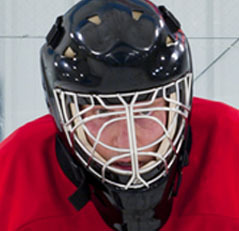 How Much Does a Custom Fitted Night Guard Cost? Custom night guards are only available through your dental professional. Due to their preventative nature, night guards are often a benefit covered by most insurance plans. 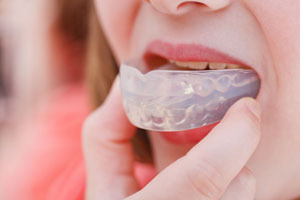 To determine coverage please don’t hesitate to ask for an estimate on your custom fitted night guard. Regardless of the presence or absence of dental insurance, not only will a night guard appliance improve your quality of sleep, it may deter more expensive dentistry in the future. Once you’ve decided to get a night guard, simply visit your dentist so they can take an impression of your teeth. After about a week, their dental lab will have created a custom night guard for you. Night guards act like a cushion or buffer between your upper and lower teeth. All you have to do is insert it at night before you go to bed and take it out in the morning. After removing the night guard, we recommend cleaning it with a denture/retainer cleanser from your local pharmacy. Brushing the night guard is also helpful to remove plaque build-up. How Can You Help Prevent Teeth Grinding? In addition to wearing a night guard, we also recommend lifestyle improvements to help decrease your stress levels like exercising, meditation, yoga and more. Reducing your smoking and alcohol consumption is also helpful because they have been identified as risk factors to teeth grinding as well.